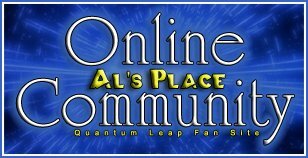 IMDB entry for "Quantum Leap: A Bold Leap Forward"
"Bold Leap" Confirmed! DVD suggestions to Pratt! New Hand-Link in Bold Leap Forward. What do u wana c in ABLF TV movie &/or series?